Providers play an important role in the health of women. When it comes to babies, optimal patient care begins before conception. You can help Waco women get healthy now — before a baby is even on the way. You also can play an important role in showing fathers how being involved helps ensure better birth outcomes and a healthy child. Read below for more information on how you can be involved in improving birth outcomes in Waco community. While the disparities in infant mortality rates between minority and non-minority populations are improving, there’s still much work to do. The 2013 infant mortality rate for Hispanic mothers in Texas was 5.2 per 1,000 live births, making it equal to or less than the infant mortality rate for white women. In contrast, the infant mortality rate for black mothers (11.6 per 1,000 births in 2013) is consistently twice as high as it is for white or Hispanic women. This high rate still exists despite a 16.2 percent decrease in the rate for black mothers over the past 10 years — the largest decrease among all race/ethnic groups in the state. Healthy Texas Babies and Someday Starts Now hold, as central tenets, the belief that racial disparities in health outcomes for mothers and infants in Texas can be changed. DSHS has used the Life Course Perspective to frame this initiative. The Life Course Perspective is a way of looking at health as an interconnected continuum that starts even before one is born. Experiences leading up to pregnancy play a greater role in pregnancy outcomes than the prenatal period in isolation. Factors not traditionally considered as “health conditions” — socio-economic status, education and literacy — also play a role in birth outcomes and highlight the disparities experienced by different racial groups. Learn more about the Life Course Perspective here. Below are ways that you can be involved in improving the birth outcomes of women in our community. Providers have the opportunity to make a difference in preventing and eliminating racial disparities in health care. The National Center for Cultural Competence offers a variety of tools and training resources to enhance the cultural competence of practitioners. I intervene in an appropriate manner when I observe other staff or clients within my program or agency engaging in behaviors that show cultural insensitivity, racial biases, and prejudice. I am aware of the socio-economic and environmental risk factors that contribute to health and mental health disparities or other major health problems of culturally and linguistically diverse populations served by my program or agency. Even though my professional or moral viewpoints may differ, I accept individuals and families as the ultimate decision makers for services and supports impacting their lives. To learn more, check out The National Center for Cultural Competence. In Texas, the Center for the Elimination of Disproportionality and Disparities works to address disproportionality and disparities in human services. The Office of Minority Health offers a variety of fact sheets related to infant mortality disparities. For more information about the National Partnership for Action, its mission and additional resources, visit the NPA website. Remember to use the My Health Priorities Patient Worksheet and the Life Planning Tool and Birth Plan to provide culturally sensitive, patient-centered care. The Life Planning Tool asks questions about facets of health that impact reproductive potential and provides anticipatory guidance about those topics. As the patient performs a self-inventory of risk factors and health habits, they are developing a vision of what they want their childbearing years to be like. By the end, they have a better sense of what they will need to achieve their goals and can better visualize their future. All of these are part of high-quality contraceptive counseling. Check out more in the guide published by the Centers for Disease Control and Prevention (CDC) and the U.S. Office of Population Affairs (OPA). In order to provide high-quality contraceptive counseling, utilize the Contraceptive Effectiveness Chart with your patients to discuss the different types of contraception options available. If you would like to utilize these charts in your office, please contact us. Encourage your patients to sign up for text4baby while they’re sitting in front of you. By texting BABY or BEBE to 511411, this free text message service will send scientifically vetted messages timed to the patient’s pregnancy twice a week. That means all of the education you can’t fit into the short time you have with your patient, will still get to her throughout her pregnancy — in the easily digestible text message format. Encourage your patients to check out Centering Pregnancy. Centering is an innovative model of prenatal care. It moves care from the exam room into the group space to bring together the components of health assessment, education and support. 8-12 women at similar points in their pregnancies meet for 2-hour sessions over 10 visits. At these visits, you will learn how to have a healthy pregnancy and delivery while meeting other expectant mothers. Centering pregnancy is currently available at more than 50 sites in the United States. In Waco, Family Health Center host Centering classes. For first time moms, share with them about Nurse Family Partnership. NFP is an evidence-based community healthcare program that empowers low-income, first-time mothers to become confident parents and strong women by partnering with nurse home visits. Nurse home visits begin early in the mother’s pregnancy and continue visitation until the child’s second birthday. Nurses provide support, resource connections, education and counseling on health, behavioral and self-sufficiency issues. Encourage moms in need to check out Care Net. Care Net Pregnancy Center offers free educational classes on pregnancy, parenting, and life skill. They also offer care management to help families achieve housing, transportation, medical care, childcare, employment, and to further their education. Both hospitals in Waco offer classes for moms. Providence Hospital offers classes on childbirth, breastfeeding, infant CPR, and newborn care. Baylor Scott & White Hillcrest offers classes on childbirth and breastfeeding. The First Trimester Checklist gives your patients a simple, step-by-step guide for ensuring they enjoy healthy pregnancies. Alcohol and Pregnancy: Myths and Facts explores the common misconceptions about “safe” levels of alcohol consumption during pregnancy and reinforces that drinking alcohol even in small amounts can have lifelong consequences for a child. Research shows that those women who plan for breastfeeding and are supported by their partners and providers have a better chance of success than those who are only prompted to breastfeed at the hospital after birth. Support your breastfeeding patients and provide them information on local resources for breastfeeding. Babies born late preterm and early term are knows as the great imposters. They often look healthy at birth and may be mistaken for older babies by their APGAR scores. But many times, they decompensate quickly in terms of thermoregulation, glycemic control and often require significant care in the Neonatal Intensive Care Unit. Providers have an opportunity to change practice in their facilities and communities by promoting the elimination of elective delivery prior to 39 weeks. Only about 60 percent of Texas women enter prenatal care before the end of their first trimester. Late entry into prenatal care is linked to low birth weight, smoking during pregnancy and other poor outcomes. Providers have the opportunity to engage women — particularly women not planning pregnancy — in early prenatal care by conveying its importance during the preconception period. They can also encourage seamless entry into on-time prenatal care, educate their administrative staff about the importance of scheduling women early in their pregnancies and work to accommodate patients’ schedules to assure entry into care. The Edinburgh Postnatal Depression Scale (EPDS) is a validated tool for assessment of PPD and is easy to administer. The questionnaire consists of 10 questions that the mother completes herself. Instructions for scoring are attached to the tools and a score of 10 or greater warrants further investigation. The tool is available for reproduction without permission as long as the authors’ names are included. A copy of EPDS can be downloaded here. Intimate partner violence and domestic violence have been shown to escalate during pregnancy. The leading cause of death for pregnant women nationally is homicide — outpacing medical complications. It’s estimated that four to eight percent of women experience physical and non-physical abuse during their pregnancy. According to the American Congress of Obstetricians and Gynecologists, detection may be possible by discussing the increased stress pregnancy can place on a relationship. Asking how the patient and her partner resolve their differences followed by directly asking — in a caring and nonjudgmental manner — if the patient has been abused can also aide in detection. The clinician should inquire about the safety of others in the household, keeping in mind that suspicion of abuse is reportable, even if it’s not proven. The clinician should also assist the woman in seeking services and making a plan for her own safety. Interrupting the cycle of violence is a battle worth fighting and the provider plays a vital role in assisting patients who present for reproductive health care services. Encourage your patients to get help in Waco by calling the Family Abuse Center or the Advocacy Center for Crime Victims & Children. The Family Abuse Center provides a 24-hour domestic violence hotline (1-800-283-8401), emergency shelter for victims, children’s services and counseling, crisis intervention, rural outreach, and support groups. Inter-conception care provides a unique opportunity to address specific risk factors that may have contributed to previous poor pregnancy outcomes. Below are some interconception tips to talk with your patients about. Birth spacing is a critical component of healthy preparation for pregnancy. It’s recommended that pregnancies be spaced no closer than 18 months and no further apart than 60 months. Planned pregnancies result in better outcomes and start with appropriate choices in birth control. Women’s birth control options must grow and change with their changing life circumstances — the birth control that worked well for them as young adults may not be an appropriate choice between pregnancies. Patients must be active and informed participants when it comes to their care. To do this, clinicians need to present the issue to their patient and engage them in collaborative decision-making. To meet these goals, providers need to be proactive about having a conversation with their patients. Talking to women about their pregnancy intentions is an important part of responding to their requests for contraception. It is easier to know the method that is right for them if we understand their level of desire for pregnancy and their concerns about side effects, ability to hide the method, how difficult it is to use, and how much it costs. Because of this, every provider should make a point to ask their female patients the “one key question” during well woman exams “Do you desire to become pregnant in the next year?” If the response is no, contraception counseling should take place so that the woman can make an informed decision about what birth control method is right for her. If yes, preconception health counseling should take place to ensure the woman is at her healthiest state in the year prior to pregnancy. Check out this Contraceptive Effectiveness Chart to use with your patients & discuss the different types of contraception options available. If you would like to utilize this chart in your office, please contact us. Between pregnancies, chronic conditions such as diabetes, mental illness, obesity, hypertension and thyroid disorders should be addressed and managed. These conditions play a critical role in a healthy pregnancy and often the treatment options are limited by the pregnancy state. Supporting behavior change regarding these conditions is an important complement to medical interventions. The Life Planning Tool can help patients and providers collaboratively think about goal setting for the inter-conception period and can prompt discussions about areas of concern for patients. 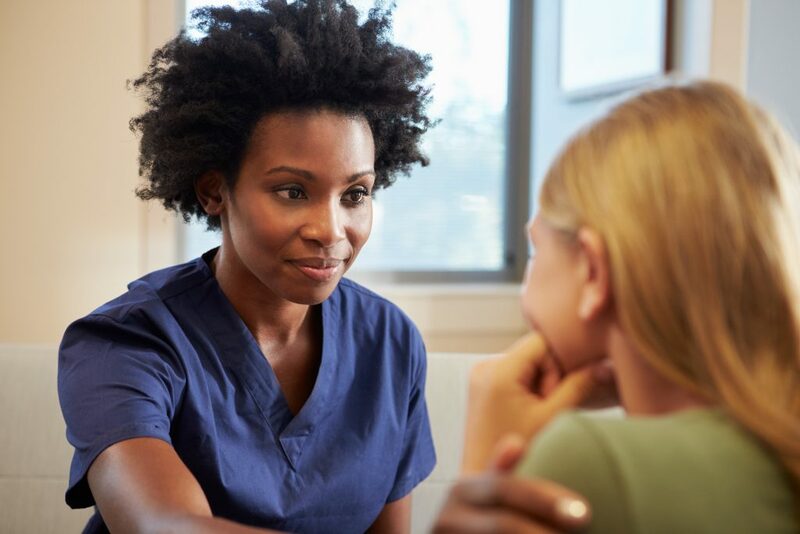 The can assist providers in focusing their discussions during the clinical encounter, as well as serve as a checklist to address patient concerns on an ongoing basis. Address the provider role in improving preconception and inter-conception health through the delivery of provider toolkits used to complement service delivery by identifying risk factors for potential adverse birth outcomes. The coalition launched a “Someday Starts Now” preconception health campaign in Waco in 2015 to aide in driving women into care. This campaign was intended to educate women about the importance of one’s health prior to pregnancy including the importance of seeking primary care regularly. We have also made available the “Someday Starts Now” life planning tool at locations all around Waco to encourage women of childbearing age to develop health and reproductive life plans. We have also encouraged women to discuss this tool with their healthcare provider and family/social support. If you or your agency would like to distribute the toolkit at your site please contact us. In order to increase preconception and inter-conception care among primary care providers in Waco, the coalition has implemented a preconception/inter-conception toolkit to be used during the routine primary care of all women of childbearing age. The toolkit developed by Georgia Division of Public Health and Emory University School of Medicine is used to further discuss pregnancy intention and behavioral, medical, and social risks associated with adverse birth outcomes. This preconception care aims to improve reproductive health and pregnancy outcomes by promoting the health of a woman prior to conception. Currently the clinical intervention is being implemented at all Family Health Center sites in McLennan County. If you would like to be involved with the efforts of the Healthy Babies Coalition, contact us here.